I'm currently procrastinating, I need to study for a Phonetics quiz tomorrow but here I am, blogging. My head is aching even if I had four hours of sleep after my morning exam in Semantics but thinking about Phonetics made my head spin. Last Monday night, my friends and I were celebrating our second year anniversary since we started working for this company. We ate at a new buffet house and took a lot of pictures. I was using my new Sony Cybershot that I inherited from my mom since she plans to buy a newer version. I was really disappointed with the way I look. I really have a huge face in all the photographs. so I didn't have any retouch. Notice how my face looked flat (farther left). Since the news about Charice Pempengco's botox, I have become paranoid about chewing gum. I'm a big fan of chewing gum. I just love Orbitz. It's Xylintol and it is recommended by our school dentist back in college because it's supposed to be helpful when you don't have the time to brush your teeth. For me, chewing gum is a tension breaker. If my friends are habitual smokers, I'm a habitual "chewer". When Charice had botox, her doctor said that her big face was caused by her love of chewing gum. I have started my habit of chewing in college whenever I feel tense or after eating and I don't know if this is the cause. In contradictory to this, maybe I just gained some weight and my friend who got a similar problem told me, it can't possibly be true because if this is so, then why are basketball players who are fond of chewing gum don't have big jaws/cheeks? Unlike Charice, I don't have the means, money and courage to have botox done. I'm very much against that idea personally but I don't have any issues with people doing it either. It's a matter of choice. Everyone has to the right to feel good about themselves. Anyway, to counter this problem, I think that having the right haircut will be the solution. So yesterday, I went to a local Korean Beauty Salon, Haenbok and have a haircut. I've been a frequent customer of this Salon, I have my haired colored there twice already and always loved the result. I have tried Tony & Jackey's and the cut was so-so. Voila, I have a new haircut. Again, I'm not wearing any make-up. I just woke up from a nap. I clipped a part of my bangs because it was puffy after sleeping. 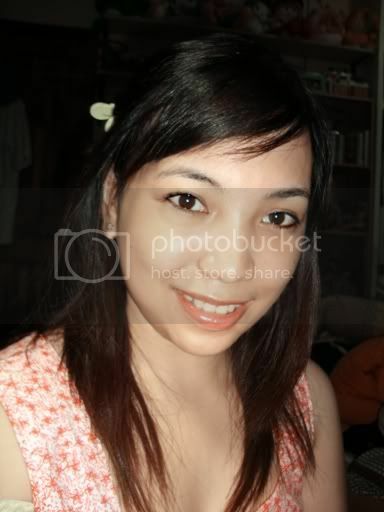 Having bangs/fringe would emphasize the eyes and having your hair layered would give the illusion of a narrower face. I know that I can never have a small face and it's just a matter of doing something to enhance your best feature. This is why, I always can't have a straight long hair because it would make my face look flat. No, I'm not saying "big face" is ugly. One of the prettiest "big face" I can think of is Mariana Ochoa. In this video, I just love how her hair frames her face. Compare her look from this video to her picture in here. A haircut does make a difference in the way you look. Moving on, I am running out of lipgloss. My favorite In2it is finally on it's last days. 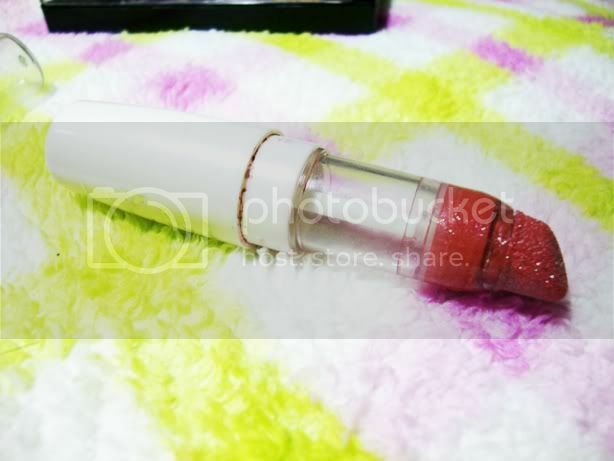 I like this lipgloss because it makes my lips look natural and very easy to apply since you just have to twist it and it has a sponge-like applicator for even application. Being a girl, I'm fickle minded and sometimes you want to have a darker shade and there are some days you want to look like you're not wearing anything at all. So I bought two tubes of lipgloss, one from Revlon and one from Max Factor. 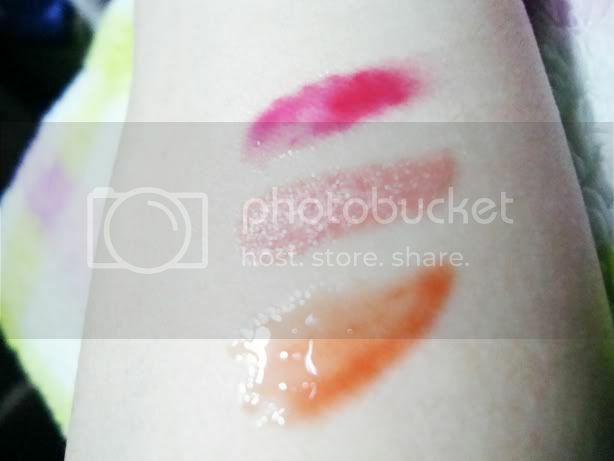 I've never tried any lipgloss or lipstick from either brand. So for a change, I'm trying them to see what other people have been raving about. This one is from Max Factor. 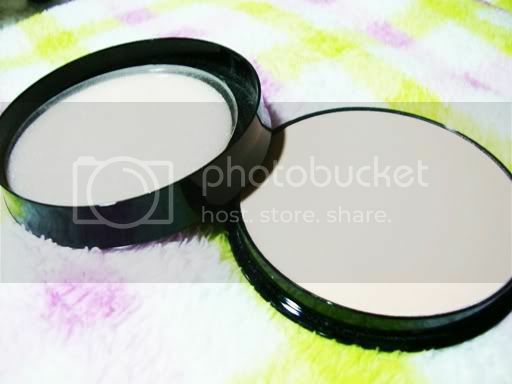 I have used their foundation before but stopped and switched to in2it because I find that in2it suits my skin color more. A friend of mine has been recommending this one because she says it's really nice on the lips so here it is. 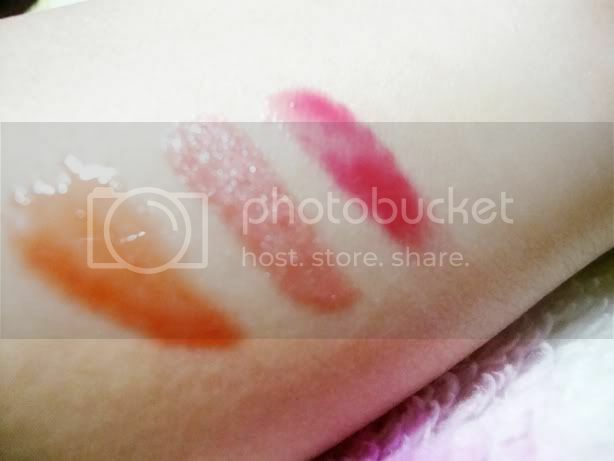 I bought silk gloss in Peach Glow . I love how it tastes and smell. 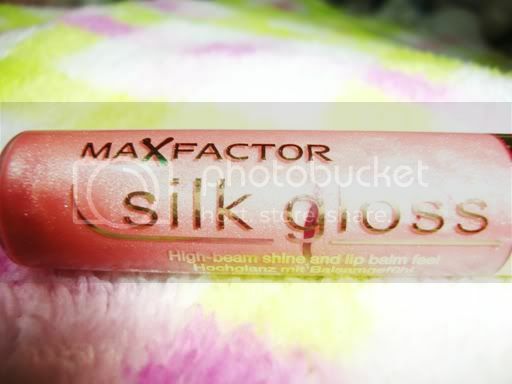 It's a bit heavier compared to the other glosses I've tried but it lasts longer compared to in2it, revlon and faceshop. I always have a problem with lighter shades since my lips are naturally a dark shade of red. Beauty Consultants usually advice me to stay away from light pinks and very dark bright reds, the former making me look anemic and latter is just too harsh for my skin tone. They often recommend those in shades of orange or reddish orange. I'm surprised this one actually worked for me though. I don't know the shade of this one. 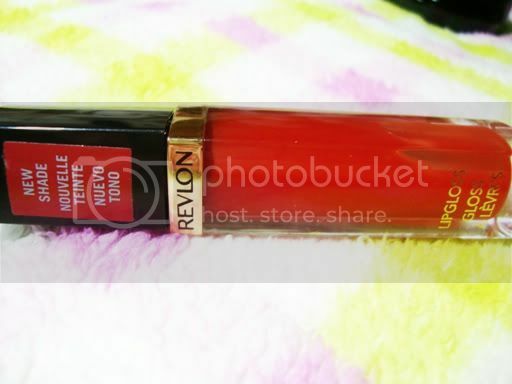 This is from Revlon. 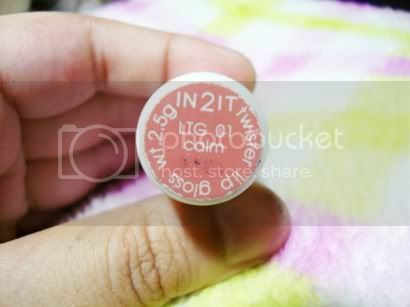 It is slightly a redder version of my faceshop lip gloss. I like how light it feels and it stays. 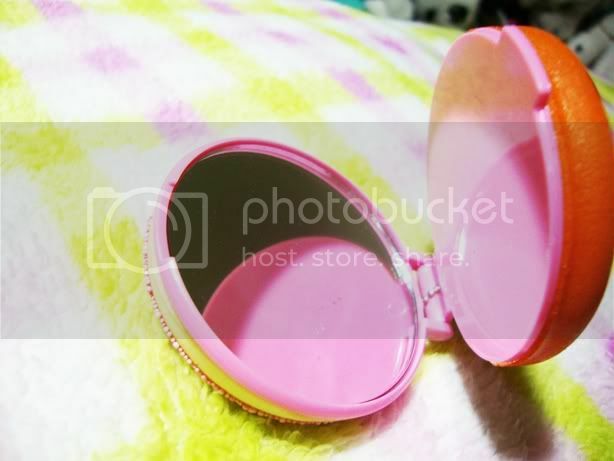 Unlike my faceshop lipgloss, when my hair gets into my face, I find small patches of lip gloss on my jaw. But the thing I like about my faceshop lipgloss is that it gives me smooth lips. 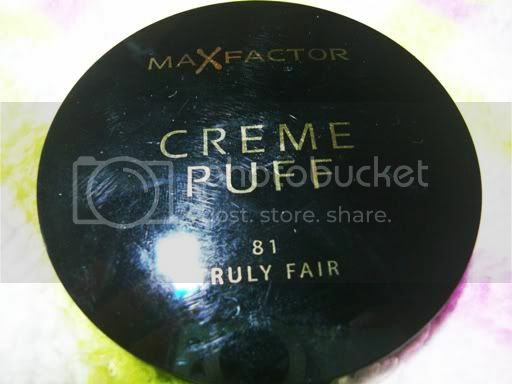 It's also been a long time since I stopped using pan cake foundation and so I bought one from Maxfactor since a cousin of mine loved this one very much. This shade really blends well with my skintone. Last but not the least, I bought this one. 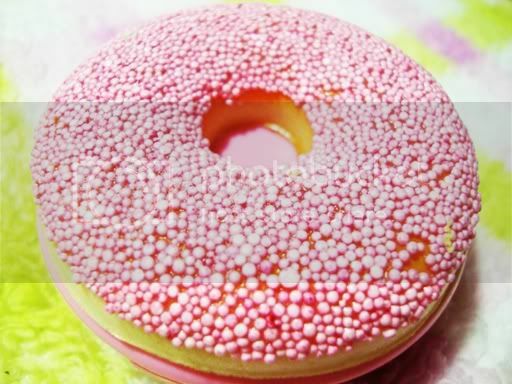 Nope, it's not a real doughnut. out of the office to eat lunch, I only have my wallet with me. Now, I can check my teeth discreetly after eating. LOL!